Hey beautiful people, how are you? As I stated, I want to keep you all in the loop by chronicling my journey as As MBIB Ambassador. I think doing this will also help me to live in the moment and appreciate all that is happening to me. Well, here goes- Part 1: Finding out I was an Ambassador. Finally 5:00pm rolled around and still no call. In my head that was it... Close of the business day... I had lost! I was a loser! The disappointment of it all rushed to my throat and then my eyes. I cried for about 20 minutes and then I moved on. I got dressed for exercise, I told myself that I should still be proud of myself, and I put on my bravest face. No one had any idea how I was feeling... I smiled, I told jokes, and I tried to put it out of my mind. Fortunately for me, my sister Candice called me. She said "Hey sis," in her high adorable voice. Before I could I say anything, she proceeded to tell me that this opportunity was mine and God already has my name on it. She was so sure that this was for me because she knew how passionate I was about what I do. Her vote of confidence brought silent tears over the phone because I already "knew" that I lost. Her pep talk did make me feel a little better... It helped me to realize that win or lose, I inspired my loved ones and made them proud. That night, my husband in his wisdom said, maybe they are behind the deadline for counting the votes, maybe they didn't pick winners yet. I scoffed and cried some more. I went to work the next morning did what I had to do and I prayed that my hubby was right. After my third amen, I got the email that gave me hope. It basically read, hello Finalist, the winners will be notified tomorrow (Wednesday) via phone or email. Although I was happy for what seemed to be a lifeline...I was not looking forward to spending another day in agony. Fortunately for me, I began to build relationships with a few of the other finalist and we talked all day, distracting each other from the impending news or doom. Just like Monday, 5pm came and went and still no call. It didn't hurt as much as it did on Monday because I kind of already knew the feeling of losing lol. I made my way to exercise, smile on my face, preparing to leave this experience behind and just like that... After 6pm, my phone rang and it was the call I was waiting for! I am a My Black is Beautiful Ambassador. Thank you Lord!!! The call lasted about a minute but it felt like longer. I felt like she was speaking in slow motion as I waited for the words to come out of her mouth. I jumped up and down and cried tears of joy! 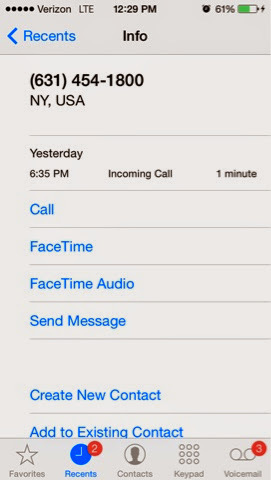 This call will always serve as a reminder to not doubt myself and to believe in myself. Even if I don't get the next opportunity, I learned to trust the process and be fearless anyway. Thank you God was all that I could say! Stay tuned for the next installment of My Life as a My Black Is Beautiful Ambassador.